Berries are a great source of soluble fiber and vitamin C, and they can help balance blood sugar. They also contain antioxidants and flavonoids, which help boost their nutrient values! 1. 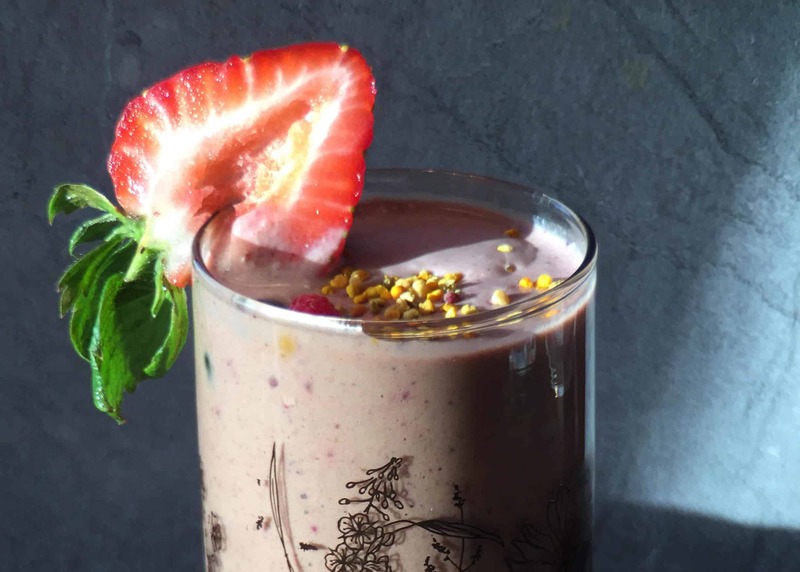 Combine the first five ingredients into a high-speed blender. 3. Garnish with bee pollen, if desired. In my new cookbook, Hashimoto’s Food Pharmacology: Nutrition Protocols and Healing Recipes to Take Charge of Your Thyroid Health, I share strategies for making diet changes an easy part of your life. My goal is for eating to be be fun and approachable, and I want to help take the stress out of cooking so that you can rest and truly heal. Order your copy here. P.S. Many people with autoimmune conditions struggle to find a protein that’s a fit for them. That’s why I created Rootcology AI Paleo Protein – It’s made with hydrolyzed beef protein which allows for easier absorption and translates to less gas and less bloating for you and me! 🙂 You can get yours here. Could you give me a list of foods to avoid including fruits and veggies. I’ve just recently been diagnosed with thyroid cancer and want to cure it naturally if possible. Carol – thank you for reaching out. I am so sorry to hear you are going through this. <3 My heart goes out to you. I highly recommend that you work with a functional medicine clinician to be a part of your own health care team. It’s an entire medical specialty dedicated to finding and treating underlying root causes and prevent serious chronic disease rather than treating individual disease symptoms. I believe that everyone needs to find a practitioner that will let him/her be a part of the healthcare team. You want someone that can guide you, that will also listen to you and your concerns. You want someone that’s open to thinking outside of the box and who understands that you may not fit in with the standard of care. It's a good idea to ask some standard questions when contacting a new doctor for the first time. Something else to consider is you can work with a functional doctor remotely, via Skype. You could also contact your local pharmacist or compounding pharmacy, who may be able to point you to a local doctor who has a natural functional approach. But I encourage you to keep looking for the right one for you! Here are some resources you might find helpful. 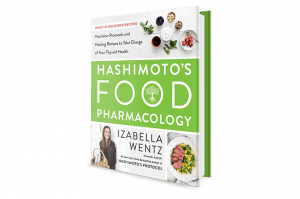 Hi Dr Wentz, I would love to pre order your new book. Can you tell me if it can be delivered to Western Australia? Or can I get it in an Ebook format for my Apple Ipad please?